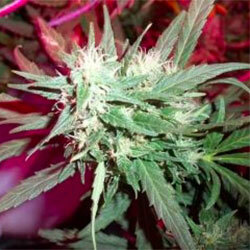 Automatic seeds are cannabis varieties with a ruderalis crossing. They have been bred specifically to have the quality of automatic flowering, which means that these plants do not need to be put on a 12-hour light cycle in order to go into flowering. They will simply flower when they are ready. Producing fast and easy growing plants, these seeds are the perfect choice for the first time grower.